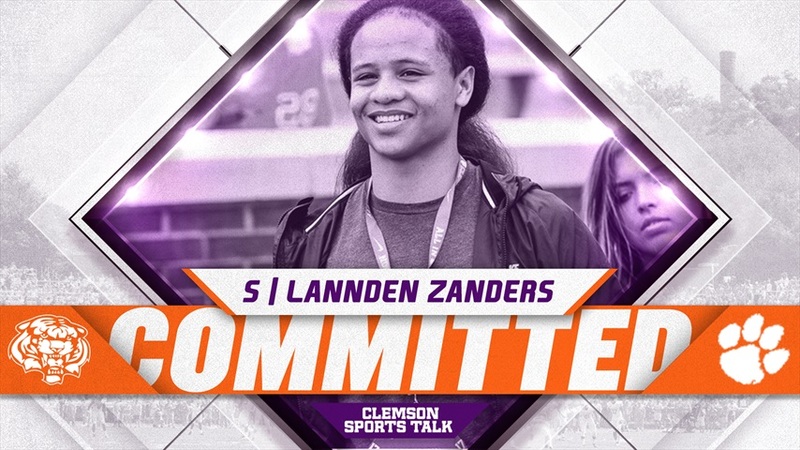 It’s National Signing Day and we will keep you updated on any new additions to Clemson’s 2019 recruiting class. 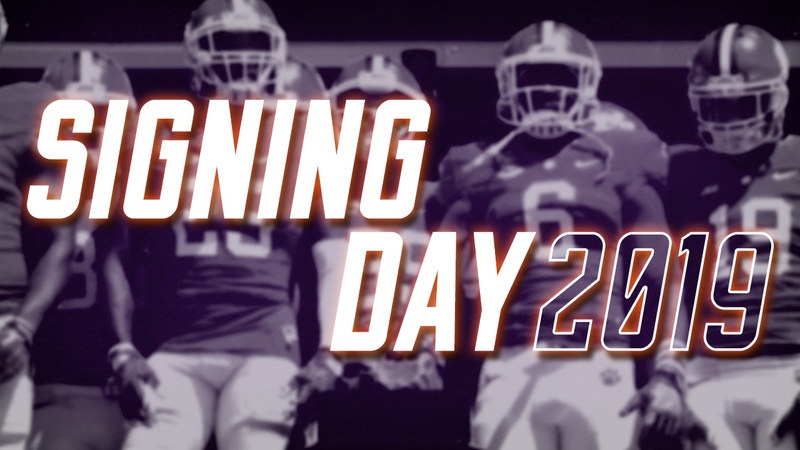 The Tigers have already signed the majority of this class with only a few players expected to be added today. The main player we indicated to keep your eye on was 4-star running back Jerrion Ealy‍. Ealy made his decision today at 12:15 on ESPN2 and decieded to attend Ole Miss. READ quick notes from Dabo Swinney’s press conference discussing the Early Signing Period here. 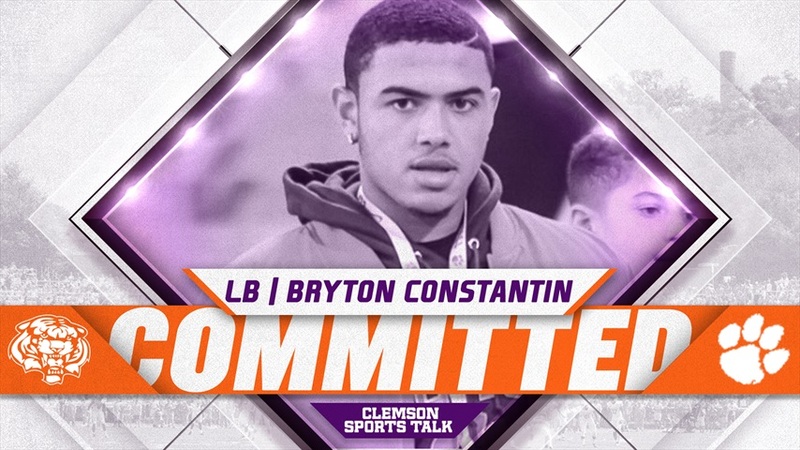 CLEMSON, S.C. — Upon the opening of the early signing period on Wednesday, a total of 27 players signed National Letters of Intent to play football at Clemson. Information on the team’s signees from the Early Signing Period is included below. In High School: Ranked as 15th-best tight end-H Back in the nation by ESPN.com … had strong senior season at Calhoun High … Region 6 AAA Defensive Player of the Year … first-team all-region on offense and defense … first-team Chattanooga All-Area … County Defensive Player of the Year … played his high school football at Calhoun High for Hal Lamb … teammate of 2019 signee Brannon Specter at Calhoun High … Clemson recruiters were Brandon Streeter and Danny Pearman … committed to Clemson on June 10, 2018 … plans to enroll at Clemson in summer of 2019. In High School: Ranked as the No. 119 overall player in the nation by Prep Stars … rated as the No. 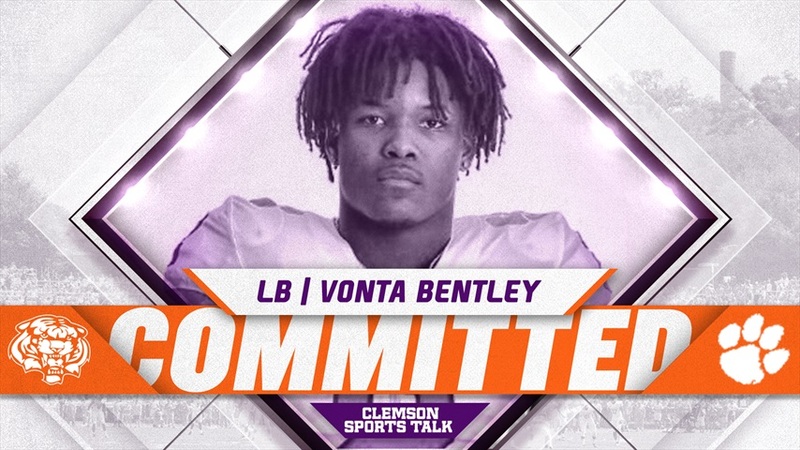 177 overall player by Rivals.com, who also sees him as the ninth-best inside linebacker and eighth-best player from Alabama … four-star by Prep Stars, ESPN and Rivals … ESPN rated him as the No. 289 overall player in the nation, the seventh-best inside linebacker and 12th-best player in Alabama … had strong senior year with 118 tackles, 16 tackles for loss, 5.5 sacks, four passes broken up … ranked as No. 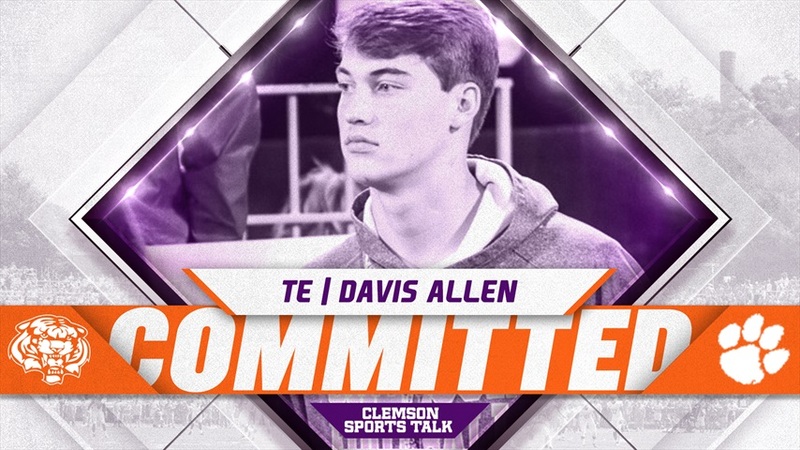 6 player in Alabama by Al.com … Lineman of the Year by the Birmingham Quarterback Club … named Defensive Player of the Year in Birmingham … Played high school football at Jackson-Olin High for coach Tim Vakakes … Clemson recruiter was Todd Bates … committed to Clemson on July 27, 2018 … plans to enroll at Clemson in summer of 2019 … LaVonta Bentley: luh-VON-tay. In High School: Five-star cornerback who was ranked among the top 50 players in the nation by every service … ranked as No. 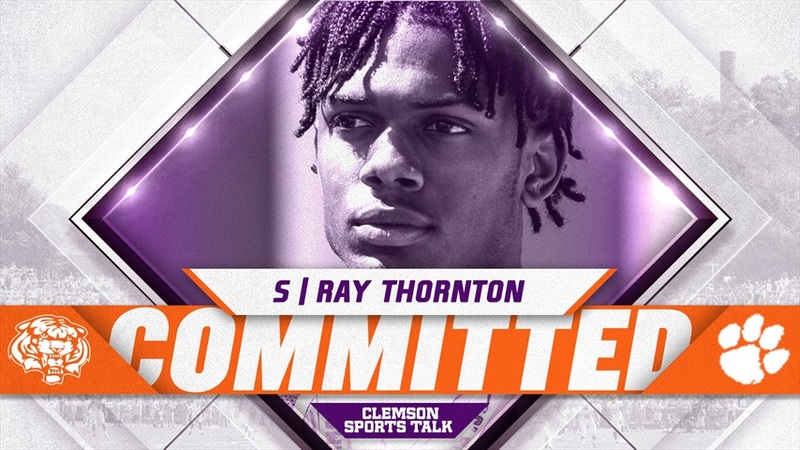 8 overall player in the nation by Rivals.com, the highest-ranked Clemson signee in this class by that service … also ranked as the second-best player in the state and the second-best cornerback in the nation … ranked as the No. 27 overall player in the nation by Tom Lemming … rated as the No. 30 overall player in the nation by ESPN.com, who also have Booth as the third-best cornerback in the nation and fifth-best player in Georgia … ranked No. 32 overall player and third-best cornerback by Prep Stars … ranked No. 41 overall player, second-best cornerback and sixth-best player in Georgia by 247Sports … three-year starter who had 162 career tackles, including 131 solo … had 13 interceptions, 44 passes defensed, four caused fumbles and a blocked field goal … on offense, had 22 receptions for 557 yards and four touchdowns … also had three punt return touchdowns over his career … as a junior, was all-state, all-region, all-county first team … as a senior in 2018, was Region Specialist of the Year, and county defensive back of the year … 2018 team captain. 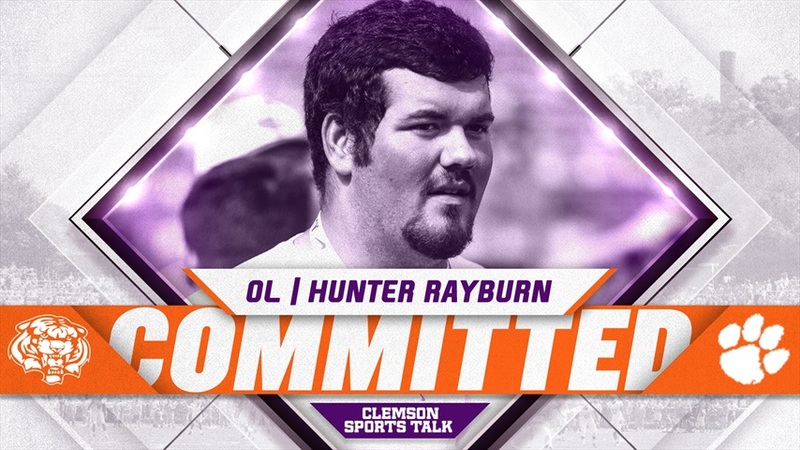 … selected to play in Under Armour All-American game … played high school football at Archer High School for Andy Dyer … Clemson recruiters were Mickey Conn and Mike Reed … committed to Clemson on July 30, 2018 … plans to enroll at Clemson in summer of 2019. 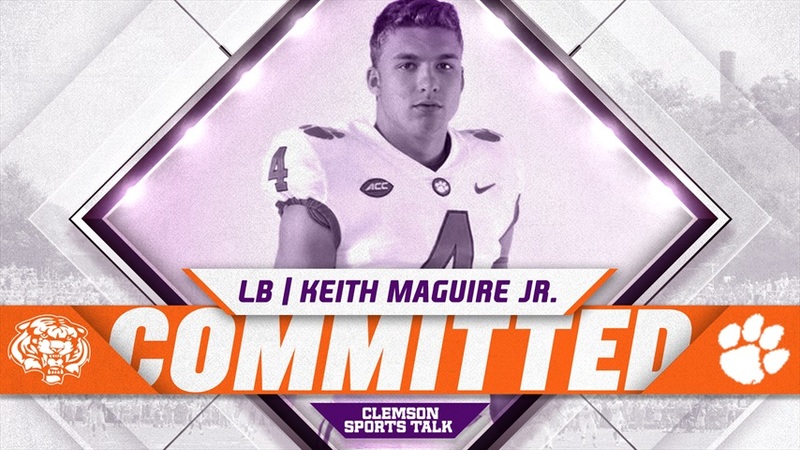 In High School: Led the state of Georgia in sacks in 2017 with 23.5 … had 40 tackles for loss among his 101 tackles … starter for his final three seasons and was all-region three times … all-state selection in 2017, as the 2018 all-state team had not been announced at the time of his signing … career leader at Winder–Barrow High School in sacks with 42.5 … recorded 204 total tackles in his career at Winder-Barrow High School … in 2018, played just seven games, but had 40 tackles, including 13 tackles for loss and five sacks … had nine tackles, five of which were tackles for loss against Flowery Branch … had 101 tackles as a junior, he had four games with double figures … had 10 tackles, including five sacks against Habersham Central for his best game of the year … high school coach Ed Dudley said, "Logan is one of the best young men I have had the opportunity to coach in the past 35 years. 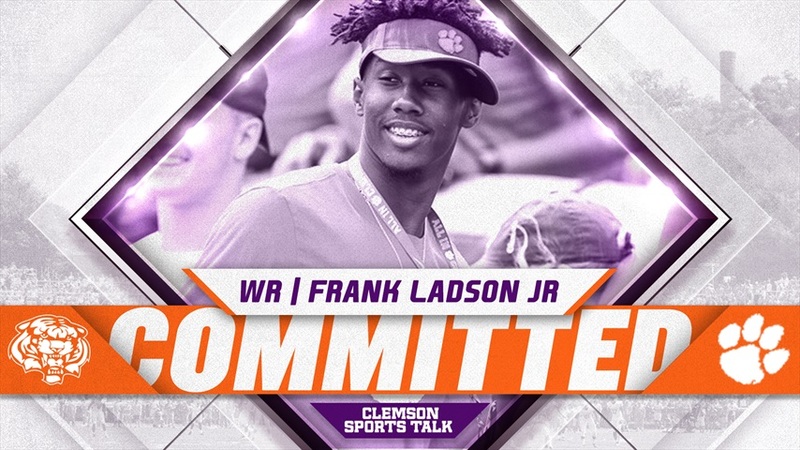 His enthusiasm, energy, and passion for the game are unmatched” … Clemson recruiter was Mickey Conn … committed to Clemson on June 21, 2018 … plans to enroll at Clemson in January 2019. In High School: A national top 150 player from Georgia … ranked No. 122 overall player by 247Sports, where he was listed as No. 13 safety nationally and No. 14 overall player in Georgia … ranked No. 150 overall player by Rivals.com, listed as the 14th-best safety and 13th-best overall player from Georgia … ESPN.com had Charleston as a top 300 player, 14th-best safety and 29th-best player in Georgia … had team-best 83 tackles, nine tackles for loss, two caused fumbles, a fumble return of 46 yards and two interceptions as a senior … had 12 tackles against Roswell and 10 against South Gwinnett … helped his team to AAAAAAA state championship, a first for the Milton High program … played his high school football for Adam Clack … primary Clemson recruiter was Mickey Conn … committed to Clemson on Oct. 10, 2017, as he was the first player in Clemson’s signing class to commit to the Tigers … plans to enroll at Clemson in January 2019. In High School: Rated as No. 60 overall player in the nation by ESPN and No. 74 by Tom Lemming … unanimous four-star player … ESPN listed him as No. 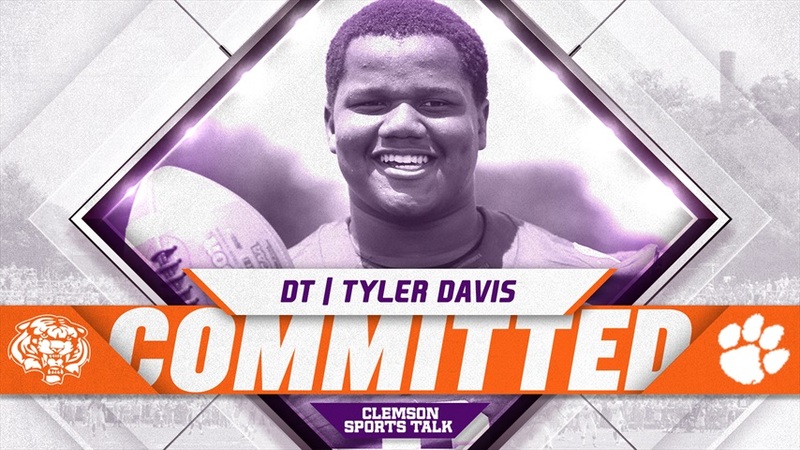 7 defensive tackle in the nation and seventh-best overall player in Florida … Rivals.com listed him as 18th-best defensive tackle in the nation … national top 300 player according to 247Sports, where he ranked as the No. 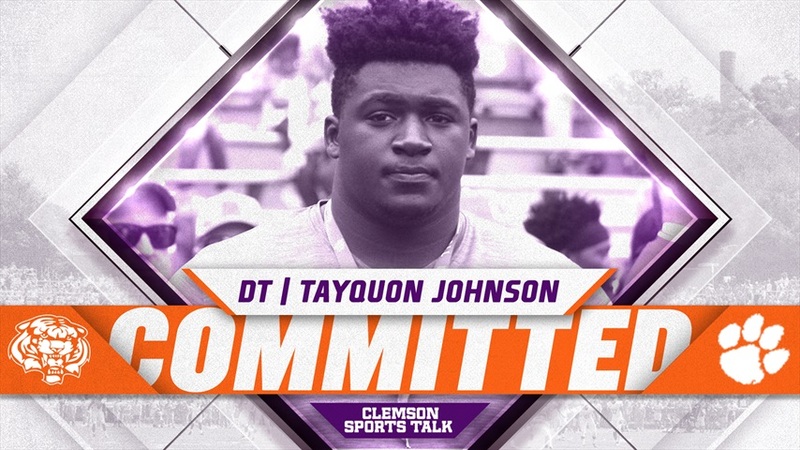 218 player in the nation as well as the 12th-best defensive tackle in the nation and 24th-best player in Florida … had 34 tackles, including 14 tackles for loss and six sacks in 2018 … had best game against West Orange when he had eight tackles, four tackles for loss and three sacks … had an interception in 2018 as well … helped team to 11-2 record and a top 10 ranking in the state of Florida … played his high school football at Wekiva High School for Rich Bedesem … Clemson recruiter was Todd Bates … did not commit to the Tigers until signing day, Dec. 19, 2018 … plans to enroll at Clemson in January 2019. In High School: Ranked as seventh-best player in Maryland by ESPN.com, which ranked him as 22nd-best defensive tackle in the nation … ranked as eighth-best player in Maryland and No. 29 defensive tackle by Rivals.com … ranked as 11th-best player in Maryland and 33rd-best defensive tackle in nation by 247Sports … joined the Williamsport football program in the Spring of 2017 … team captain in 2017 & 2018 … Herald-Mail Defensive Player of the Year in 2017 and 2018 … Washington County (MD) Coaches Defensive Player of the Year in 2018 … Herald-Mail All Area Team as both offensive lineman and defensive lineman in 2017 and 2018 … led Williamsport High to best season in 20 years in 2017 … anchored best defense in school history in 2017 … over his last two years, had 184 tackles, 44 tackles for loss and 12 sacks … had eight rushing touchdowns on goal line situations over 2017 and 2018 … after senior season was invited to USA Football National Team to participate in the 2019 International Bowl … also an outstanding wrestler, finished third in the heavyweight division as a junior, his first year of competition … also plans to compete on the school wrestling team in the winter of 2019 … honor Roll student … member of Program Leadership Council 2017 and 2018 … played his high school football at Williamsport High School for Tim Small … Clemson recruiters were Todd Bates and Mike Reed … committed to Clemson on May 14, 2018 … plans to enroll at Clemson in summer of 2019 … first name is pronounced TAY-kwan. 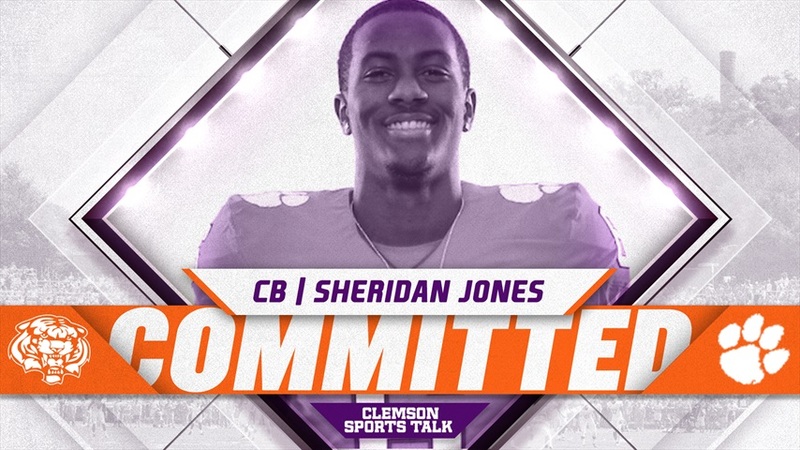 In High School: Ranked among the top 100 players in the nation by ESPN.com and Rivals … ESPN.com ranked Jones as 69th-best overall player, second-best player in the state of Virginia and seventh-best cornerback in the nation … ranked 91st overall by Rivals, fourth-best from the state of Virginia and ninth-best cornerback in the nation … 247Sports ranked him as eighth-best player in Virginia … ranked as four-star prospect by all three services … two-way player, who had 45 tackles, two interceptions, one he returned for a score, in 2018 … as a receiver, had 17 receptions for 347 yards and two scores … will play in World Bowl in Mexico on Dec. 22, then will play in Under Armour All-American game in early January. 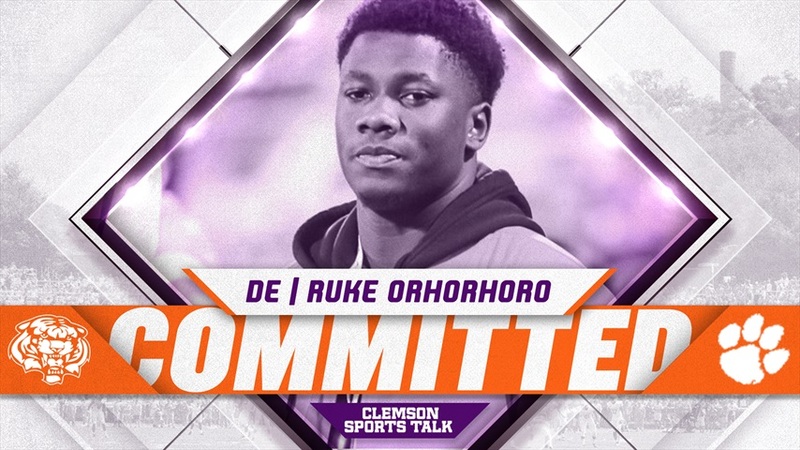 … played his high school football at Maury High School under Dyrri McCain … Clemson recruiters were Mike Reed and Brent Venables … committed to Clemson on April 20, 2018 … plans to enroll at Clemson in January 2019. 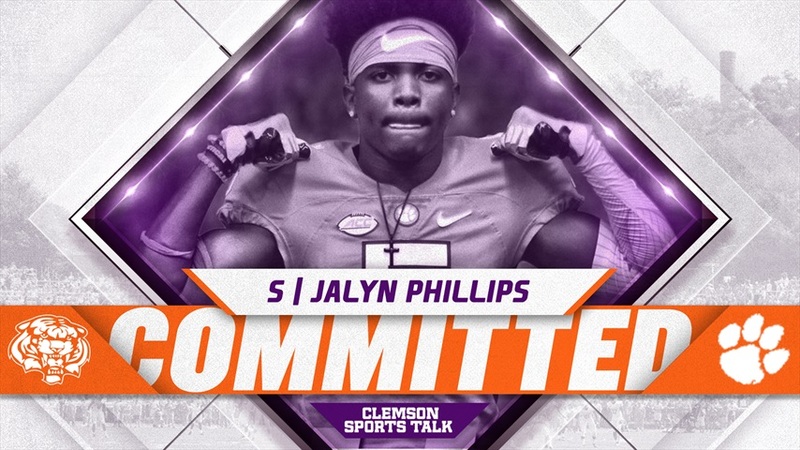 In High School: Ranked among the top 51 players in the nation by five services … Clemson’s highest-rated player in the class of 2019 by Prep Stars, as he was 22nd overall and the fifth-best wide receiver with a five-star rating … rated No. 23 player in the nation by USA Today Chosen 25 … ranked 33rd-best overall player by 247Sports, who also listed him as the fourth-best receiver in the nation and fourth-best overall player from Florida … ESPN ranked Ladson 35th overall, third-best from state of Florida and the fifth-best wide receiver … Rivals.com ranked Ladson 36th-best overall, fifth-best from Florida and seventh-best wide receiver … noted recruiting analyst Tom Lemming ranked Ladson 51st among his top 100 players … attended The Opening in summer of 2018 … had record-setting senior year when he had 50 catches for 1,133 yards (22.7 per catch) and 13 touchdowns … set school record for receiving yards … led team to a 10-3 season in 2018 … as a junior had 29 catches for 675 yards (23.7 per catch) and eight touchdowns … over last two years had 79 receptions for 1,808 yards and 21 touchdowns, and average of 22.9 yards per reception … will play in All-American Bowl … played his high school football at South Dade High School for Nathaniel Hudson … wore No. 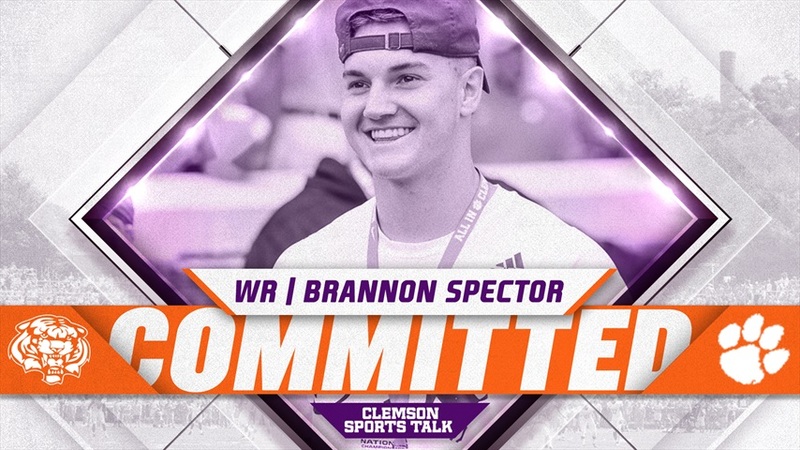 9 in high school … primary Clemson recruiter was Jeff Scott … committed to Clemson on April 14, 2018 … plans to enroll at Clemson in January 2019. 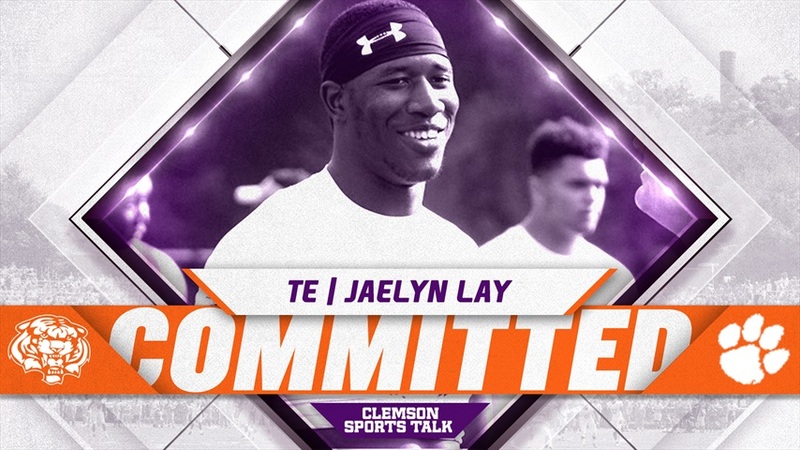 In High School: One of the top five tight ends or H-Backs in the nation by ESPN and Rivals … ESPN ranked Lay as the fourth best tight end/H-back, while Rivals ranked him fifth in that position … ranked as the No. 165 best all-around player in the nation and 16th-best player from the state of Georgia … ranked as the 21st-best overall tight end by 247Sports … helped Riverdale High School to an 8-4 record in 2018 … had 29 receptions for 240 yards and four touchdowns in 2017 … had 7-119 and a touchdown in 2016 … at 6-6, is tied for the tallest tight end in Clemson history … played his high school football at Riverdale High School for Rodney Hackney … Clemson recruiters were Mike Reed and Danny Pearman … older brother is a student at West Point … committed to Clemson on March 3, 2018 … plans to enroll at Clemson in January, 2019 … first name pronounced: JAY-lynn. In High School: Talented four-star linebacker who ranked as the best player in Pennsylvania by some services … had strong 2018 season, leading his team to third straight Inter-AC Championship in a row … as a senior, had 106 tackles, 18 tackles for loss, five sacks and four interceptions … also had 313 yards rushing and 314 receiving on the offensive side of the ball … scored 14 total touchdowns … two-time conference MVP … named all-state in 2017, and the 2018 team was not yet announced at the time of his signing … No. 219 player in the nation by Rivals.com … that service also ranked McGuire as best player in Pennsylvania and 11th-best outside linebacker … seventh-best player in Pennsylvania by 247Sports … No. 26-best outside linebacker by Prep Stars … led his conference in tackles as a junior … had a touchdown catch in 2017 that was the No. 2 play of the day on ESPN’s SportsCenter … played high school football at Malvern Prep for Dave Gueriera … very active in community service, he went on a 10-day trip to Dominican Republic in June to help build homes … also played on lacrosse team at Malvern … from same conference that produced Matt Ryan (Atlanta Falcons) and Mike McGlinchey (Notre Dame All-American) … Clemson recruiters were Brandon Streeter and Brent Venables … committed to Clemson on April 27, 2018 … .plans to enroll at Clemson in summer of 2019. 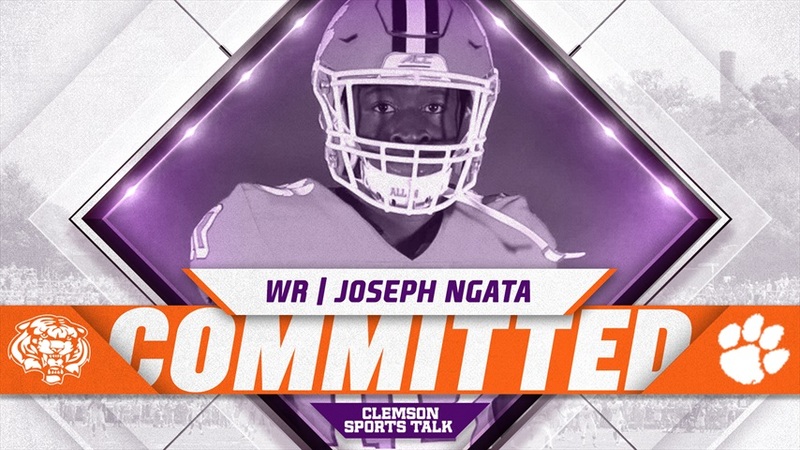 In High School: Ranked as a five-star recruit by Rivals.com, which listed him as the 21st-best overall player in the nation, fourth-best player from the state of California and fifth-best wide receiver … 247Sports ranked Ngata as 39th-best overall player, the ninth-best from California and eighth-best wide receiver … listed as 28th-best overall player in the nation by Tom Lemming … ESPN.com rated him as its No. 159 overall player … led his team to the state championship each of his final two years … led Folsom High in the 2018 state championship victory on Dec. 14 with nine receptions for 103 yards and a score … his touchdown catch with under two minutes left sent the game into overtime … team finished 14-1 in 2018 … for his high school career, had 188 receptions for 3,682 yards and 55 touchdowns … team had a 39-3 record in his three years on the varsity … had a touchdown catch in 36 of 42 career games … also had 17-yard average on rushing plays (17-236) … in 2018, had 66 catches for 1,272 yards and 22 scores, a 19.3-yard average … had six 100-yard receiving games … caught a touchdown in each of his last 10 games and 13 of the 15 games in 2018 … added 8-86 rushing … in 2017, had career-high 81 receptions for 1,777 yards and 26 scores … averaged 22 yards per catch … led team to a 16-0 record with seven 100-yard receiving games, including two games with at least 200 yards … had 12-202 against Oakdale High in 2017 … had 8-213 and career high four touchdowns against St. Mary’s in 2017 … caught at least one TD pass in 14 of 16 games … had 41-633 receiving and seven touchdowns as a sophomore … had 9-139 receiving in his first career high school game in 2016 … had a touchdown catch in seven of 11 games in 2016 … played his high school football at Folsom High School for Kris Richardson … primary Clemson recruiter was Jeff Scott … will be first Clemson signee from California to matriculate to Clemson since Bobby Forbes in 1991 … attended same high school as Washington quarterback Jake Browning … wore No. 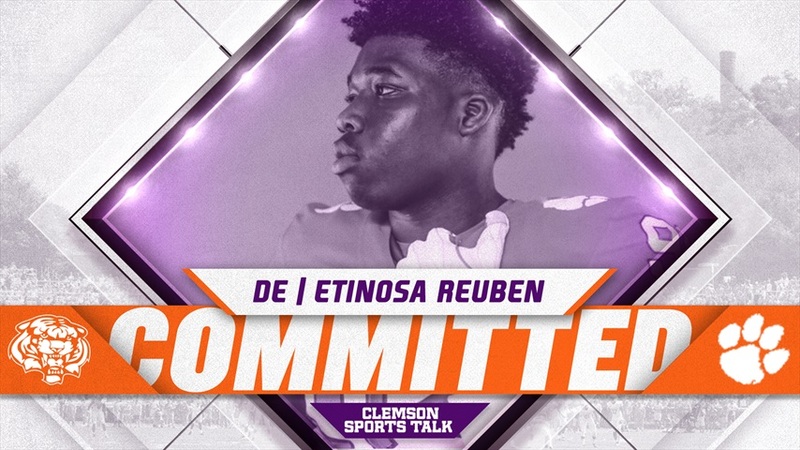 10 in high school … will play in All-American Bowl … committed to Clemson on July 28, 2018 … plans to enroll at Clemson in January 2019 … last name pronounced: enn-GOT-uh. 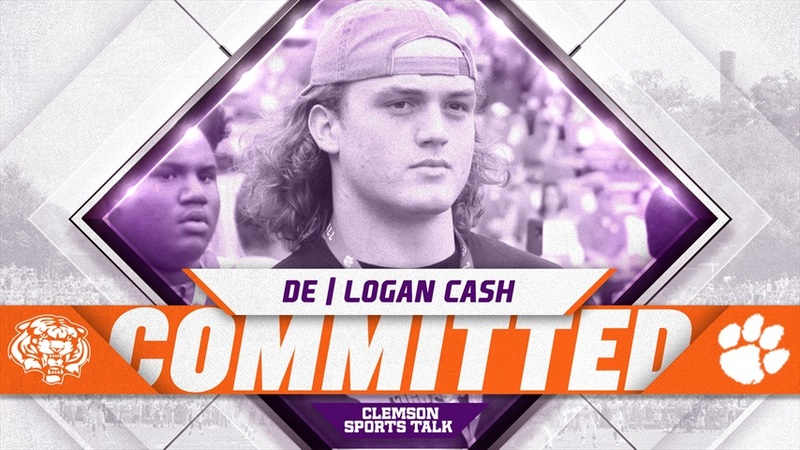 In High School: Played high school football in Michigan, becoming the first Clemson football signee from the state of Michigan since 1975 (Joe Carolan) … athletic defensive end who played just two years of high school football … ranked as 15th-best overall player in Michigan by 247Sports, 18th-best by Rivals.com and 17th-best in Michigan by ESPN.com … born in Nigeria and came to the United States when he was nine … played basketball as a youth and in high school … averaged a double-double as a sophomore … the week after his sophomore season of basketball ended in the state semifinals, he met with the school’s football coaches and decided to join the team for spring practice … did not play his first football game until the fall of 2017 … had solid 2017 and received some offers from Michigan and Michigan State … as a senior in 2018, had 13 sacks and 22 tackles for loss to go with 60 tackles … scored a touchdown on a fumble return … helped team to an 8-2 season … played his high school football at River Rouge High School for Corey Parker … Clemson recruiters were Brent Venables and Lemanski Hall … has three cousins who played or are still playing college football, Michael Ojemudia (Iowa), Mario Ojemudia (Michigan) and Ovie Oghoufo (Notre Dame) … committed to Clemson on June 15, 2018 … plans to enroll at Clemson in January 2019 … first name rhymes with juke; last name pronounced Oh-roh-roh-roh. In High School: National top 300 player by three services who was standout two-way player … ranked No. 138 overall player in the nation by 247Sports, which also listed him as the seventh-best player in Tennessee and 12th-best inside linebacker … ranked No. 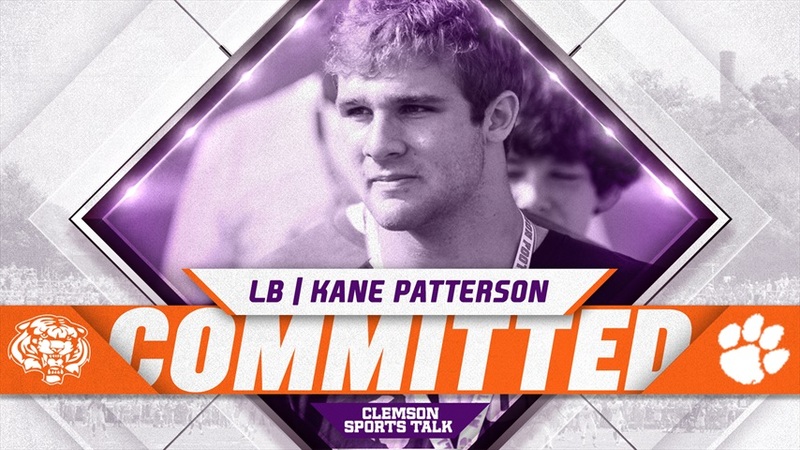 202 overall and fifth-best inside linebacker by Prep Stars … ESPN ranked Patterson No. 262 overall and sixth-best player in Tennessee and sixth-best inside linebacker … finished the 2018 season with 647 yards rushing on 92 carries for a 7.0 average … also had 16 touchdowns … on defense had 59 tackles, 12 tackles for loss, including four sacks … led team to state championship Division II AA … was MVP of state championship game, he had 13 carries for 110 yards and two touchdowns and had seven tackles on defense … found out the next day he was invited to All-American Bowl in San Antonio … as a junior in 2017, had 1,003 yards rushing in just 110 carries, a 9.1 average … had 23 touchdowns and four 100-yard rushing games … played just 12 games, he suffered knee injury in state playoffs of 2017.. … had 64 tackles on defense in those 12 games and had 12.5 tackles for loss … in 2016 as a sophomore, had 141 yards rushing and 27 tackles on defense … for career, had 42 touchdowns, all rushing, in 5 games … finished with 1,794 yards rushing on 227 carries, 7.9 yards per rush … had 258 career tackles, including 38.5 tackles for loss, 13 of which were sacks … played at Christ Presbyterian Academy for Coach Ingle Martin … wore No. 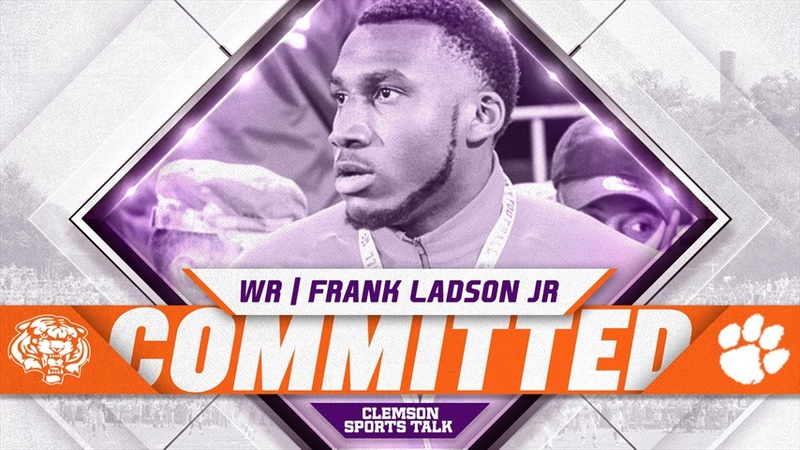 4 in high school … Clemson recruiter was Lemanski Hall … committed to Clemson on Sept. 4, 2018 … plans to enroll at Clemson in summer of 2019. In High School: Among the top quarterbacks in the nation … ranked as 166th-best overall player in the nation by ESPN.com, who also call him the No. 1 player in Connecticut and eighth-best pocket passing quarterback in the nation … Rivals.com listed him as best player in Connecticut and fifth best quarterback in the nation … 247Sports ranked him as the fifth-best player in Connecticut and third-best quarterback in the nation … consensus four-star prospect … played his high school football at Avon Old Farms School for Pierce Brennan … played two years at Harding High School in Bridgeport and two at Avon Old Farms Prep … for his high school career, he completed 339 of 556 passes for 5,224 yards and 46 touchdowns against 12 interceptions … also had 300 rushes for 1,264 yards and 25 touchdowns, giving him 6,492 yards of total offense and 71 touchdowns … had his best year in 2017 when he had passing efficiency of 205 … completed 135-192 passes for 2,253 yards and 22 touchdowns against just one interception at Avon Old Farms in 2017 … also had 122 carries for 633 yards for another 17 touchdowns … accounted for 39 touchdowns in just nine games … took team to 8-1 record … had injury plagued 2018 and played just six games … was 73-128 for 1,066 yards and nine scores … had another 163 yards rushing and two scores … posted high school career passing efficiency of 162 … primary Clemson recruiter was Brandon Streeter … played high school prep football in Connecticut, same region as unanimous Clemson All-American Christian Wilkins … committed to Clemson on April 14, 2018 … plans to enroll at Clemson in January 2019 … name is pronounced Tyson; PUMA-chon. In High School: Four-star prospect by ESPN.com who is ranked as 18th-best offensive guard in the nation … 247Sports ranked him as 27th-best offensive guard … played his first three years of high school football at West Florida Tech … played on varsity as an offensive tackle at the end of 2015 season, then started in 2016 and 2017 … team reached second round of the state playoffs in 2016 and Final Four in 2017 … also played baseball as a pitcher and first baseman at West Florida Tech … transferred to Pensacola High School for his senior year and played baseball in spring of 2018 and football in the fall … named to the all-area team on the gridiron … played in all-area All-Star game on Dec. 14, 2018 … played his senior year of high school football at Pensacola High for Mike Mincy … brother plays college baseball at Coastal Alabama … won Pensacola High FCA Award for 2018 … named to National Honor Society … primary Clemson recruiters were Jeff Scott and Robbie Caldwell … committed to Clemson on June 11, 2018 … plans to enroll at Clemson in January 2019. 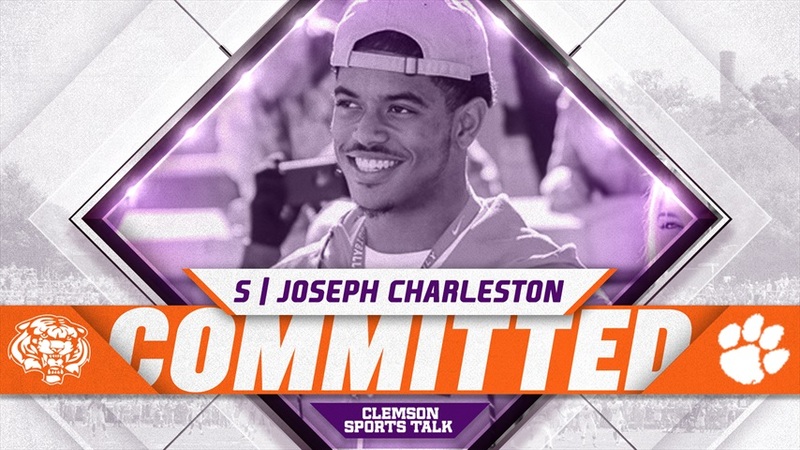 In High School: Second-generation Clemson player who played wide receiver and safety in high school … had 49 receptions for 719 yards and seven touchdowns in 2018 as a senior … had 47 tackles, five tackles for loss, and five interceptions on defense … returned one interception for a touchdown … had one of his best all-around games in the season opener, he had eight catches for 103 yards and a touchdown on offense, and an interception on defense against Ridgeland … had one of his best games in the state playoffs when he had 87 receiving yards and a touchdown in a victory … Region 6 AAA Athlete of the Year … first-team all-region … first-team Chattanooga Times All-Area … County Player of the Year … in 2017 team won the state championship with a 14-1 record … played his high school football at Calhoun High School for Hal Lamb … high school teammate of 2019 Clemson signee Davis Allen at Calhoun High … showed his athletic ability at the Atlanta Regional of The Opening, where he finished second in the competition to Nolan Smith, one of the top five players in the nation … brother of Clemson linebacker Baylon Spector … his father, Robbie Spector, was a wide receiver for the Tigers who lettered from 1988-90 … Clemson won two ACC Championships when Robbie was on the team and his senior class had a 40-8 record with four straight 10-2 seasons … also has a sister, Blair, at Clemson … also ran track at Calhoun, competing in the 100, 200, long jump and triple jump … Clemson recruiters were Brandon Streeter and Jeff Scott … committed to Clemson on October 28, 2017 … plans to enroll at Clemson in January 2019. In High School: Left-footed punter who ranked as the third-best punter in the nation by Prep Stars and Rivals.com … ranked as the fourth-best punter by 247Sports and 16th-best punter by ESPN.com … handled kickoffs for IMG Academy in 2018 and had 29 touchbacks on 46 kickoffs (63 percent) … opponents averaged just 19.6 yards per kickoff return … averaged 42.3 yards per punt in 2018 and 46.0 in 2017 … had a 49-yard touchdown pass out of punt formation for IMG in 2017 … opponents averaged just 2.5 yards per punt return in 2018 … played two years at IMG Academy and two years at Jesuit High School in Tampa … punted for a 13-1 team that reached the state semifinals at Jesuit in 2015 … Jesuit was 12-1 in 2016 … was 54-80 on touchbacks at Jesuit in 2016 … had eight touchbacks in a game twice … As a sophomore, was a first-team All-Tampa Bay and All-Hillsborough County selection and a second-team 5A all-state honoree by the Associated Press … was also competed in track and field … was the Hillsborough County district champion for high jump and a State Championship finalist … Head Coach at Jesuit Tampa was Matt Thompson and Special Teams Coach was Tom Feely … played at IMG Academy for Kevin Wright … primary Clemson recruiters were Tony Elliott and Danny Pearman … his mother is a Clemson graduate … committed to Clemson on March 5, 2018 … plans to enroll at Clemson in January 2019. 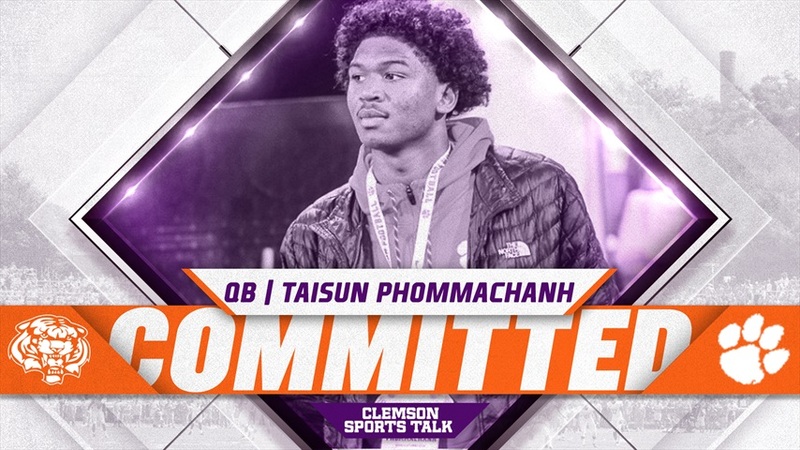 In High School: Georgia native who played his high school football in Alabama … athletic safety who joins 2017 high school teammate Justyn Ross at Clemson … Ross and Thornton were first scholarship athletes to come to Clemson from Phenix City since Marvin Sims (1976-79) … ranked as the 18th-best player in state of Alabama by ESPN.com and Rivals.com … ranked as No. 13 prospect in Alabama by the Birmingham News … integral reason why Central High won the state championship in 2018 with a 14-0 record … bright spot in the secondary that helped Central to 52-7 win in 7A state championship game against team led by Alabama signee Taulia Tagovailoa, the brother of Alabama quarterback Tua Tagovailoa … Had an interception and 68-yard return to set up a field goal in the third quarter of that game … Helped lead Central to its first undefeated season since 1944 and first state championship since 1993 … had 57 tackles and two interceptions in 2017, helping Central to the semifinals of the state championship tournament … wore No. 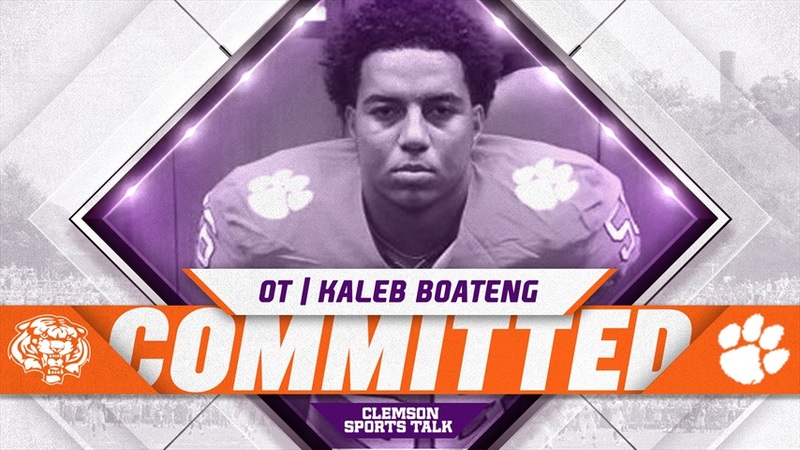 5 in high school … played his high school football at Central High School for Jamey Dubose … Clemson recruiter was Todd Bates … committed to Clemson on June 22, 2018 … plans to enroll at Clemson in January 2019. 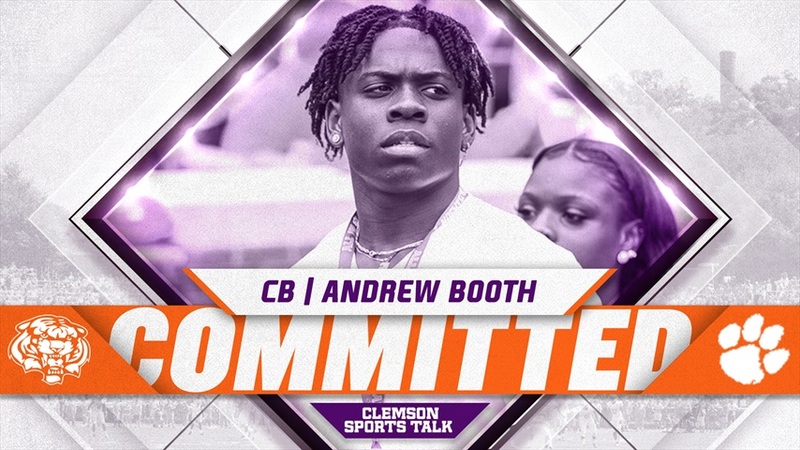 In High School: One of the top linebackers in South Carolina who played in the Shrine Bowl for South Carolina in 2018 … four-year starter at Swansea … played inside linebacker in 2017 and outside linebacker in 2018 … ranked as the eighth-best overall player in state of South Carolina by ESPN.com … listed 12th in the state by Rivals.com and 16th by 247Sports … had 78 tackles with a sack, two forced fumbles and three interceptions as a senior in 2018 … named the Region 5 Defensive Player of the Year … All-Region 5 AAA All-Region in football and basketball in 2017-18 academic year … the basketball team won the Region 5 AAA Championship in 2017-18 … had outstanding junior year in 2017 when he had 103 tackles … comes to Clemson from Swansea, S.C., the same hometown that sent Bryant McNeal to the Tigers between 1999-2002 … wore No. 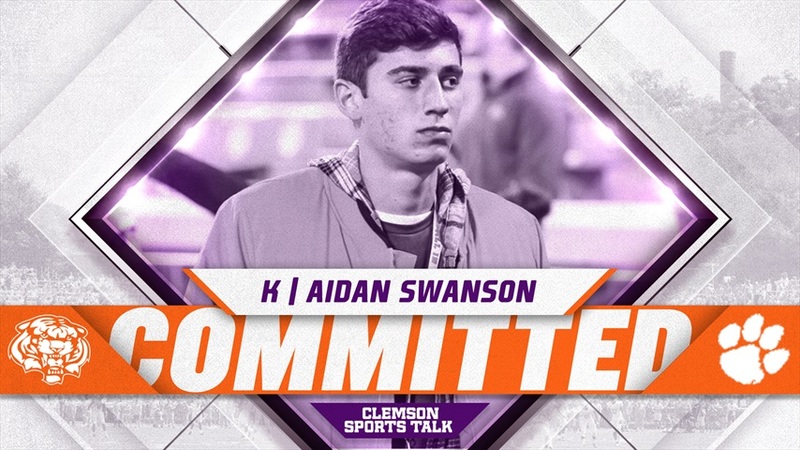 4 for Swansea … played at Swansea High School for first-year coach Eric Pack … primary Clemson recruiters were Brandon Streeter and Brent Venables … committed to Clemson on June 21, 2018 … plans to enroll at Clemson in summer of 2019. 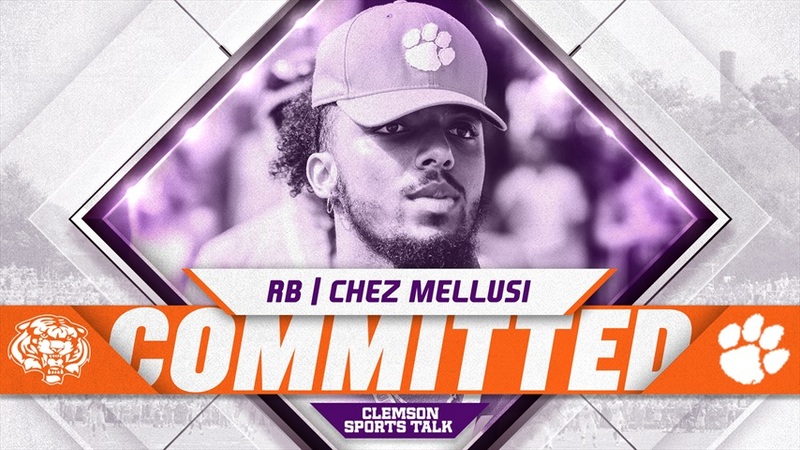 In High School: Ranked as 24th-best player in North Carolina by ESPN.com … had 51 tackles and five interceptions as a starting safety in 2018 … returned two of his five interceptions for touchdowns … had a fumble return and 175 yards rushing and a touchdown … as a receiver, had 545 receiving yards and eight touchdowns … first-team all-conference … team finished 9-4 in 2018 … in 2017, had 54 tackles and six interceptions to go with seven tackles for loss … had five receiving touchdowns on 24 catches for 363 yards … averaged 15 yards per catch … played his high school football at Crest High School for Nicholas Eddins … Clemson recruiter was Mickey Conn … comes to Clemson from same school that produced Clemson linebacker Justin Foster, as well as former ACC basketball great David Thompson and former NFL linebacker Brandon Spikes … committed to Clemson on April 4, 2018 … plans to enroll at Clemson in January 2019.